Brace yourselves for upcoming news, leaks and rumors on the upcoming iPhone 6 which will most probably be released in this year. These past few days, we have seen the front panel of the alleged device with the battery unit as well which is highly speculated to be of iPhone 6’s. Now a video has made its way through the cyber space where it show cases a mock up of the upcoming iPhone 6 with a seemingly large display. The video doesn’t show the phone as a whole but a few slabs that has been designed to look like an iPhone. From the design, if true, it can be easily deduced that the phone has extremely thin bezels on the side thus giving the phone a huge display. The iPhone 6 is expected to come in 2 variations: one with a 4.7 inch screen and the other a 5.7 inch with ultra thin retina display. The smartphone might be featuring the all new A8 processor and iOS 8 as its OS. 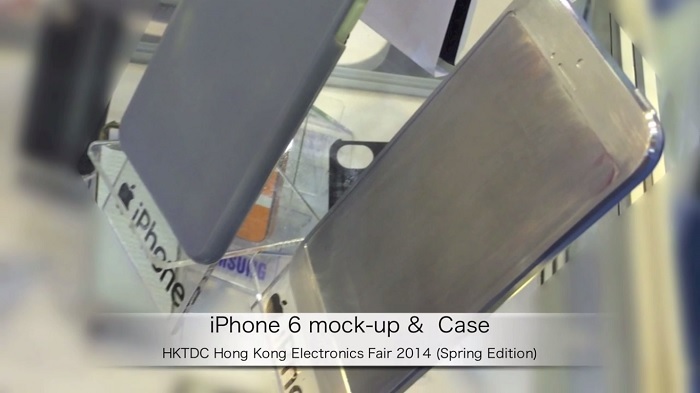 Have a look at the video on how the upcoming iPhone 6 would look like. Since this is just a mock up, don’t get convinced it to be the final design.